BOUNCE SLIDE AND SPLASH! WE BRING THE FUN TO YOU!! Great For: Camps, Day Camps, Birthday Parties, Family Reunions, Festivals / Fairs & More Over 100 rentals to choose from! FUN FOR ALL AGES! CHILDREN & ADULTS! The Monsey View Disclaimer: All content featured in this booklet is for informational purposes only. The Monsey View does not endorse the destinations listed and does not take responsibility for any informational or typographical errors. Please call the vendors to verify details before setting out. MISSION STATEMENT: The Monsey View is a weekly publication designed for every segment and age group of our diverse community. Under rabbinical guidance, we bring Monsey’s top talent together to provide high quality, informative current reading material, keeping you up to date on sales, events, news and issues of concern and import happening right now in the Monsey community. DISCLAIMER: We do not endorse any ad found in this publication. We are not responsible for typographical or grammatical errors. Copyright: All content found in The Monsey View is Copyright © and may not be reproduced, published, distributed, or duplicated for public or private use without written permission from The Monsey View. ,‫בֹותינּו‬ ֵ ‫אֹלקי ֲא‬ ֵ ֵ‫ֹלקינּו ו‬ ֵ ‫יְ ִהי ָרצֹון ִמלְ ָפנֶ יָך ד' ֱא‬ ‫ֶשּׁתֹולִ ֵיכנּו לְ ָשׁלֹום וְ ַת ְצ ִע ֵידנּו לְ ָשׁלֹום וְ ַת ְד ִר ֵיכנּו‬ ‫ וְ ַתּגִ ֵיענּו לִ ְמחֹוז ֶח ְפ ֵצנּו‬,‫ וְ ִת ְס ְמ ֵכנּו לְ ָשׁלֹום‬,‫לְ ָשׁלֹום‬ ‫ (אם דעתו לחזור מיד אומר וְ ַת ְחזִ ֵירנּו‬.‫שׁלֹום‬ ָ ְ‫לְ ַחּיִ ים ּולְ ִש ְׂמ ָחה ּול‬ ‫אֹורב וְ לִ ְס ִטים וְ ַחּיֹות‬ ֵ ְ‫לְ ָשׁלֹום) וְ ַת ִּצילֵ נּו ִמ ַּכף ָּכל אֹויֵ ב ו‬ ‫ ִּומ ָּכל ִמינֵ י ֻּפ ְר ָענֻ ּיֹות ַה ִּמ ְת ַרּגְ ׁשֹות‬,‫ָרעֹות ַּב ֶּד ֶרְך‬ ‫ וְ ִת ְׁשלַ ח ְּב ָר ָכה וְ ַה ְצלָ ָחה ְּב ָכל ַמ ֲע ֵׂשי‬,‫לָ בֹוא לָ עֹולָ ם‬ ‫ וְ ִת ְּתנֵ נּו לְ ֵחן ּולְ ֶח ֶסד ּולְ ַר ֲח ִמים ְּב ֵעינֶ יָך ְּוב ֵעינֵ י‬,‫יָ ֵדינּו‬ ‫ׁשֹומ ַע ְּת ִפּלָ ה‬ ֵ ‫ ִּכי ֵקל‬,‫ וְ ִת ְׁש ַמע קֹול ַּת ֲחנּונֵ נּו‬,‫ָכל ר ֵֹאינּו‬ :‫ׁשֹומ ַע ְּת ִפּלָ ה‬ ֵ '‫ ָּברּוְך ַא ָּתה ד‬.‫וְ ַת ֲחנּון ַא ָּתה‬ ‫ ד' יִ ְש ָׁמר‬:‫ִּכי ַמלְ ָא ָכיו יְ ַצּוֶה לָ ְך לִ ְש ָׁמ ְרָך ְּב ָכל ְד ָר ֶכיָך‬ ‫ וְ יַ ֲעקֹב ָהלַ ְך לְ ַד ְרּכֹו‬:‫ּובֹואָך ֵמ ַע ָּתה וְ ַעד עֹולָ ם‬ ֶ ‫אתָך‬ ְ ‫ֵצ‬ ‫ֹאמר יַ ֲעקֹב ַּכ ֲא ֶשׁר‬ ֶ ‫ וַ ּי‬.‫ֹלקים‬ ִ ‫וַ ּיִ ְפּגְ עּו בֹו ַמלְ ֲא ֵכי ֱא‬ ‫ וַ ּיִ ְק ָרא ֵשׁם ַה ָּמקֹום ַההּוא‬,‫ֹלקים זֶ ה‬ ִ ‫ ַמ ֲחנֵ ה ֱא‬:‫ָר ָאם‬ ‫ יָ ֵאר ד' ָּפנָ יו ֵאלֶ יָך‬:‫ יְ ָב ֶר ְכָך ד' וְ יִ ְש ְׁמ ֶרָך‬.‫ַמ ֲחנָ יִ ם‬ :‫ יִ ָּשׂא ד' ָּפנָ יו ֵאלֶ יָך וְ יָ ֵשׂם לְ ָך ָשׁלֹום‬:‫וִ ֻיחּנֶ ָך‬ EMERGENCY PHONE NUMBERS Hatzolah: Rockland County: (845) 425-1600 | Brooklyn: (718) 387-1750 In case of emergency in a different locale, please call 911. For non-urgent situations call your local branch for guidance. Safety and protection are equally important. Be safe, be protected, be insured! Subject to terms, conditions and availability. Allstate Fire and Casualty Insurance Co., Northbrook, IL © 2018 Allstate Insurance Co. Some NJ parks are for residents only. Please check for postings. Utmost care should be taken when visiting all parks not to intrude on or upset locals. 845-634-8074 Free Picnic area: June 17–August 13 Sunday: 8:00 a.m.–7:30 p.m.; Wednesday to Friday: 10:00 a.m.–6:00p.m. A moderate 45-minute climb with breathtaking 360-degree views. Mountain can be climbed even when park is closed. 14 MINUTES 845-364-2670 Free Monday to Friday: 7:00 a.m.–4:30 p.m.
Gorgeous half-mile man-made beach with picnic tables. Not recommended during swimming season (swimming is open weekends from May 25 to June 14 and every day from June 15 to September 2). 20 MINUTES 973-962-7031 Weekend parking: $7 8:00 a.m.–8:00 p.m.
Beautiful 4,400-acre park with trails, picnicking and streams. NJ Botanical Gardens and Shepherd Lake is part of the park but accessed from a different point. Undeveloped state park with hiking trails and WWI-era tunnels, rifle range and ruins. Access points detailed in Issue 103 of The Monsey View. 25 MINUTES Free April 1 to November 30, weather permitting; 8:00 a.m.–4:30 p.m.
31 MINUTES 914-591-7736 Free March to November: 7:00 a.m.–10:00 p.m.
33 MINUTES 845-774-7275 Free Sunday: 12:00 p.m.–4:30 p.m.; Monday to Friday: 3:00 p.m.–7:30 p.m.
Overpeck County Park 50 Fort Lee Road, Leonia, NJ 07605 Make a right at the first traffic circle, go past the wooden bridge and down the road until you hit a second traffic circle. On your right will be the parking lot. 201-336-7275 Free 7:30 a.m.–9:00 p.m.
43 MINUTES 212-310-6600 Admission is free; recreation available for various prices 6:00 a.m.–1:00 a.m.
44 MINUTES 917-405-1303 Adults: starts at $45; Children: $40 8:00 a.m.–6:00 p.m.
52 MINUTES 718-222-9939 Free 6:00 a.m.–1:00 a.m.
Beautiful new park with novel play areas, sand areas, carousel, swings, slide mountain, marsh garden and more. Limited parking; best visited by public transportation. RELAX IN A HEIMISH ATMOSPHERE. FOR ALL YOUR GROCERY NEEDS! NOT LITERALLY – BUT CLOSE! 1 HOUR 30 MINUTES 888-287-4545 Trails: Adults: $14.50; Seniors (62+): $13.50; Children (4–10): $8.50; Children (3 and younger): free. Adults and seniors pay additional $2 on Sunday. 9:00 a.m.–6:00 p.m.; Spring weekends and daily during July and August: 9:00 a.m.–7:00 p.m.
Summer hours were not yet announced at time of print. Check in with them by phone. 2 HOURS AND 48 MINUTES 717-989-2829 Adult: starts at $15; Children under 12: $7; Children under 2 free Monday to Friday 9:00 a.m.–6:00 p.m.
25 MINUTES 973-962-9534 Admission: free; Summer Sunday parking: $7; Manor tours: Adults: $7; Students and seniors: $5; Under 12: free 8:00 a.m.–8:00 p.m.
250-acre verdant landscape with over a million plants, voted as one of the best botanical gardens in the U.S.
43 MINUTES 718-549-3200 Adults: $10; Students: $6; Seniors and children 6+: $4; Members and children under 6: free; Parking: $8 Tuesday to Sunday: 9:00 a.m.–5:30 p.m.
2 HOURS 34 MINUTES 610-388-1000 Adults: $23; Seniors: $20; Children 5–18: $12; Children 4 and under free 9:00 a.m.–6:00 p.m.; Summer Thursdays until 10:00 p.m.
65 ft h EAMER ig full tur h - makes a n arou nd! At the Shoppers Haven parking lot on Main St.
201-666-0472 $7 general admission Opening April 4; 8:00 a.m.–6:30 p.m.
41 MINUTES 914-864-7282 Admission: free; Hayrides (when available): $3 10:00 a.m.–4:00 p.m.
1 HOUR 845-562-4268 $3 admission, plus picking containers June until October: 9:00 a.m.–4:00 p.m. IMAGE © 2015 GOOGLE: DARREN H.
Sprawling farm with spectacular views, play area, pick-your-own produce, historical buildings and farm activities. 1 HOUR 4 MINUTES 908-879-7189 All-day activity pass: $19.99; Adults: $8.99 10:00 a.m.–6:00 p.m.
1 HOUR 10 MINUTES 347-480-FARM (3276) $12; add for bumper boats, laser tag, pony rides and wagon rides Chol Hamoed hours: 12:00 p.m.–6:00 p.m.; June to August: 11:00 a.m.–6:00 p.m.; Fridays until 5:00 p.m.
1 HOUR 15 MINUTES 845-626-7137 Admission: $3; Pay per activity 10:00 a.m.–6:00 p.m. IMAGE (C) 2016 GOOGLE: MOSHE E.
Trail rides on horseback in Prospect Park. Reservations are required. 1 HOUR 16 MINUTES 845-295-0194 Cost: $25 per family Hours: Friday and Sunday are family days. Reserve in advance. Chol Hamoed: 9:00 a.m.–9:00 p.m. October to June and all Sundays: 10:00 a.m.–8:00 p.m.; June to September: 3:00 p.m.–8:00 p.m.; Erev Shabbos and YT: 10:00 a.m. to half-hour to zman. 12 MINUTES 845-627-2788 30 tokens: $10; 80 tokens: $20; 150 tokens: $30 11:00 a.m.–9:00 p.m.
845-353-1895 Varies 10:00 a.m.–9:30 p.m.; Sundays: 11:00 a.m.–7:00 p.m.
Children can choose, stuff, name and clothe their own stuffed animals. 20 MINUTES 845-353-2596 845-353-2595 $3 per ride; packages available (adults are free on carousel) 10:00 a.m.–9:30 p.m.; Sunday: 11:00 a.m.–7:00 p.m.
845-535-9277 Infant: $9.95 (adult included), or free with paid sibling; Toddler (1–4): $14.95; Child (5–17): $19.95; Parents/guardians: $6.95 10:00 a.m.–9:00 p.m.
973-331-9001 $15 Weekdays: 10:00 a.m.–5:00 p.m.; Sundays: 9:00 a.m.–2:00 p.m.
Laughter, memories & quality time This Chol Hamoed. 33 MINUTES 866-243-0770 Starting at $29.95 (discounts available online) 10:00 a.m.–7:00 p.m. Reservations recommended for Chol Hamoed. 1 HOUR 25 MINUTES 610-515-8000 $20.99 (discounts available online) Sundays and Chol Hamoed: 10:00 a.m.–-6:00 p.m. Weekdays: 10:00 a.m.–4:00 p.m.
Where Are You Going for Pesach? Visit 40 Countries in a Day. See world famous landmarks in a stunningly detailed miniature world located in the heart of Times Square. Itâ&#x20AC;&#x2122;s the perfect gift for kids ages 2 to 120. In Times Square 216 W. 44th Street GulliversGate.com SPECIAL FOR CHOL HAMOED!! Enjoy Live onsite entertainment. 10 foot stilt walkers and much, much more. OFFER VALID FROM APRIL 19TH TO APRIL 30TH. ONE CUT OUT COUPON IS VALID FOR UP TO 10 ADMISSIONS, $5 OFF EACH ADMISSION. COUPON MUST BE PRESENTED DURING PAYMENT. 201-934-7625 Varies 9:00 a.m.–10:00 p.m.; Sunday until 8:00 p.m.
845-727-3500 $19.99; Sky Tykes for kids under 48”: $8.99 2:00 p.m.–8:00 p.m.; Sunday: 11:00 a.m.–7:00 p.m. IMAGE © 2016 GOOGLE: BUSINESS PHOTO AMERICA INC.
Monday to Thursday: 11:00 a.m.–11:00 p.m.; Friday: 11:00 a.m.–2:00 p.m.; Sunday: 10:00 a.m.–11:00 p.m.
20 MINUTES 845-358-1602 12:00 a.m.–11:00 p.m.; Motzei Shabbos until 2:00 a.m.; Opens Sunday at 11:00 a.m.
5 Wits 4270 Palisades Center Drive, West Nyack, NY 10994; Top floor between Target and AMC 18 MINUTES 845-533-2666 1 adventure: $22.99; 2-adventure combo: $26.99; 3-adventure combo: $29.99 (doesn’t expire) 10:00 a.m.–9:30 p.m.; Sunday 11:00 a.m.–8:00 p.m.
A multi-room immersive adventure experience with special effects that adapts to group’s performance. 23 MINUTES 201-768-8600 Varies 10:00 a.m.–10:00 p.m.; Sunday until 6:00 p.m.
26 MINUTES 201-261-0032 Mini golf: $9.00–$10:00; Laser maze: $3.00 Monday to Friday: 2:00 p.m.–9:00 p.m.; Sunday: 12:00–8:00 p.m.
Chol Hamoed: 10:00 a.m.–9:00 p.m. Sunday: 10:00 a.m.–9:00 p.m.; Monday to Friday: 11:00 a.m.–9:00 p.m.
Monday to Thursday: 3:00 p.m.–10:00 p.m.; Friday: from 12:00 p.m.; Motzei Shabbos until 12:00 a.m.; Sunday: 10:00 a.m.–9:00 p.m.
48 MINUTES 914-637-7575 Chol Hamoed hours: 10:00 a.m.–12:00 a.m.; Sunday from 11:00 a.m. Summer Hours: 12:00 p.m.–11:00 p.m.
1 HOUR 8 MINUTES 718-370-0077 All day pass: $9.95 to 19.95; Chol Hamoed special: Buy 1 $19.95, get second half off. Chol Hamoed: 10:00 a.m. –12:00 a.m Weekdays: 10:00 a.m. –11:00 p.m.; Sundays until 10:00 p.m.
20 MINUTES 845-208-2919 $20 per person; private room rentals between $140 and $220 10:00 a.m.–9:30 p.m.; Sunday until 8:00 p.m. Escape Room NJ Pompton Lakes: 200 Wanaque Avenue, Pompton Lakes, NJ 07442 Hackensack: 157A Main Street, Hackensack, NJ 07601 PL: 23 MINUTES, H: 30 MINUTES PL: 973 520-8360 H: 201-815-1784 $25 per person; Private escape rooms between $100 and $400 10:00 a.m.–12:00 a.m. Truly immersive game rooms. Private games start at 7 people. Aerial forest adventure with five ropes courses and dual zip racers. Also kids’ section. Ziplines closed at time of print due to storm damage. 2 HOURS 30 MINUTES 413-738-5500 Single ride is $15 for 54” and taller, and $9 for under 54”; day passes available June 13 to September 6: 10:00 a.m.–6:00 p.m.
1 HOUR 10 MINUTES 718-372-2592 Kiddie rides: $5; Adult rides: $8 to $10 Opens at 12:00 p.m.
1 HOUR 10 MINUTES 718-373-5862 Day pass: $42 (savings online) Chol Hamoed hours: 11:00 a.m.–7:00 p.m. Summer hours vary by day. 1 HOUR 5 MINUTES 718-975-2748 Single ticket: $4; 10 tickets: $34; 30 tickets: $87 11:00 a.m.–5:00 p.m.
Amusement park with 25 rides and attractions. Huge park with 14 coasters and 52 other attractions; Off-Road Adventure Safari entrance included in admission. Chol Hamoed with NCSY (Monday to Wednesday): $48 at gate, $42 pre-ordered; Parking: $25 at gate, $15 pre-ordered; Summer: $81.99; Under 54”: $50.99; Under 2: free; (Savings online) Chol Hamoed: 10:30 a.m.–9:00 p.m.; Summer: opens at 10:30 a.m.
1 HOUR 17 MINUTES 732-465-1400 Pay per ride Park opens at 12:00 p.m. on Chol Hamoed. Timing varies in spring and summer. 1 HOUR 45 MINUTES 860-583-3300 $41.99; under 52” tall: $35.99 Closed Chol Hamoed. Summer hours: 11:00 a.m.–8:00 p.m.; Sundays until 9:00 p.m.
1 HOUR 48 MINUTES 610-395-3724 $59 at gate; save $20 online Closed Chol Hamoed; Summer hours: 10:00 a.m.–10:00 p.m.
3 HOURS 717-534-3900 Ages 9–54: $38.95; Ages 3–8 and seniors: $27.95 Closed Chol Hamoed. Summer hours: 10:00 a.m.–10:00 p.m. Houses were funded, families are home. Now celebrating freedom. 1 HOUR 25 MINUTES 203-758-2913 All-day pass: $29.99; Kids under 45”: $25.99; Individual rides: Between $2.50 and $5; Paddle boats: $6 for 2-seater or $12 for 4-seater Opens late April weekends and June daily. Summer hours: 11:00 a.m.–8:00 p.m. Please note that a separate section of the park is a water area. 3 HOURS 5 MINUTES 866-386-2839 Starting at $37.99 Closed Chol Hamoed; Summer hours: 10:00 a.m.–8:30 p.m.
“Kingdom for Kids” that appeals to families of younger children with its kidfriendly coasters, slides, shows and grounds full of action and fun. 23 MINUTES 845-359-1359 Free 10:00 a.m.–4:00 p.m.
George Washington’s headquarters at four different occasions during the Revolution, the DeWint House, carriage house and surrounding grounds are open to the public to view and explore. 26 MINUTES 845-786-2521 Free; there may be a parking fee and a $3 charge for group tours and special events. Reservations required. Grounds: Monday to Friday, 9:00 a.m.–5:00 p.m.; Sunday, 12:00 a.m.– 5:00 p.m. Museum, soldiers’ camp and artillery drill hours vary. DID WE FORGET ANYTHING? Know of an excursion that we didn’t list? 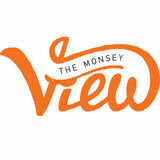 Email us at comments@themonseyview.com, and it’ll be included in next year’s Excursions. 32 MINUTES 845-938-3590 Free; there may be a parking fee 10:30 a.m.–4:15 p.m.
33 MINUTES 845-265-3638 Gardens and grounds: Adults, $11; Children ages 6–14, $5; Children ages 5-, free. Extra charge for house. Family packages available. Gardens and grounds: 9:30 a.m.–5:00 p.m.; House tours start in May: Wednesday to Monday, 10:00 a.m.–5:00 p.m.
42 MINUTES 212-245-0072 Adult (ages 13-64): $33; Seniors: $31; Children (ages 5–12): $24 Monday to Friday: 10:00 a.m.–5:00 p.m.; Sunday: 10:00 a.m.–6:00 p.m.
47 MINUTES 973-966-8000 Children, $15.99; Adults, $6.99 Tuesday–Friday: 10:00 a.m.–4:30 p.m.; Sunday: 10:00 a.m.–5:30 p.m.
49 MINUTES 212-279-9777 Adults: $37; Children: $31; Senior: $36 Until 2:00 a.m.
52 MINUTES 212-542-0566 Adult: $17; Children and seniors: $14; Toddlers free 10:00 a.m.–5:00 p.m. Closes at 2:30 p.m. on the first Wednesday of every month. 201-200-1000 There are many combinations of packages and exhibitions. Tickets: Children, $19.75; Adults, $23.75 9:00 a.m.–4:00 p.m.; Sundays until 5:30 p.m.
54 MINUTES 212-398-3133 Adult: $32; Child: $24; Save $5–6 when purchasing online 10:00 a.m.–11:00 p.m.; Thursdays until 1:00 a.m.
1 HOUR 212-312-8800 Free 7:30 a.m.–9:00 p.m.
1 HOUR 212-312-8800 Adult: $26; Youth 7-17: $15; Additional packages available 9:00 a.m.–8:00 p.m.
1 HOUR 21 MINUTES 718-851-3215 9:00 a.m.–9:00 p.m.
Chol Hamoed hours: 11:00 a.m.–6:00 p.m.; Thursday, 10:00 a.m.–3:00 p.m. Regular hours: Monday to Thursday, 10:00 a.m.–4:00 p.m.; Sundays until 5:30 p.m.
2 HOURS 856-966-1652 Adult: $21.95; Children and seniors: $17.00; Under 4 free Chol Hamoed: 9:30 a.m.–3:00 p.m. Summer: 9:30 a.m.–5:00 p.m.
2 HOURS 5 MINUTES 215-448-1200 Adults 12+, $23; Children ages 3–11: $19; Children ages 2 and under free Chol Hamoed: 9:30 a.m.–8:00 p.m. Regular hours: 9:30 a.m.–5:00 p.m.
3 HOURS 401-847-4794 Adults: $12; Seniors and students: $10; Under 13 free Chol Hamoed: 11:00 a.m.–3:30 p.m. Summer: Sunday to Friday: 10:00 a.m.–3:30 p.m.
47 MINUTES 203-852-0700 Adults: $24.95; Children ages 13–17 and seniors: $22.95; Children ages 3–12: $17.95; Under 3 free 10:00 a.m.–5:00 p.m.; Summer until 6:00 p.m.
1 HOUR 9 MINUTES 718-265-3474 Adults: $24.95; Children ages 13–17 and seniors: $21.95; Children ages 3–12: $19.95; Under 3 free; Weekends: additional $5; Parking: $18 for up to 3 hours 10:00 a.m.–5:00 p.m.; Summer until 6:00 p.m.
1 HOUR 30 MINUTES 732-899-1212 Adults: $14; Children 3–12: $8; 2 and under: free 9:30 a.m.–5:00 p.m.
631-208-9200 ext. 426 Adults 13–61: $33; Seniors 62+: $27; Children 3–12: $24; Under 2 free 10:00 a.m.–5:00 p.m.
April to September: 9:00 a.m.–5:50 p.m.
2 HOURS 2 MINUTES 856-365-3300 12+: $31.99; Children ages 2 –11: $23.99; Under 2 free (savings online) Chol Hamoed: 9:30 a.m. to 7:00 p.m. Summer: 9:30 a.m. to 5:00 p.m.
27 MINUTES 201-263-3771 Adults 15–61: $8; Children 3–14: $5; Under 3 free; Seniors 62+: $2 10:00 a.m.–4:30 p.m.
44 MINUTES 718-367-1010 Adults 13+: $22.95; Children ages 3–12: $14.95; Seniors 65+: $20.95; Under 2 free. ; Additional fees for exhibits; Free admission on Wednesdays; Parking: $17 10:00 a.m.–5:00 p.m.; Sunday until 5:30 p.m.
48 MINUTES 973-731-5800 Adults: $12; Children ages 2–12 and seniors: $10; Children 23 months and younger free 10:00 a.m.–4:30 p.m.
Central Park Zoo 64th Street and 5th Avenue, New York, NY 10021 212- 439-6500 General Admission: Adult $13.95; Child $8.95; Senior $10.95 10:00 a.m.–5:00 p.m.; Weekends until 5:30 p.m.
49 MINUTES 718-271-1500 Adults 13+: $9.95, Children 3–12: $6.95; Seniors 65+: $7.95; 2 and under free 10:00 a.m.–5:00 p.m.; Sundays until 5:30 p.m.
1 HOUR 4 MINUTES 718-442-3100 Adults15–59: $10; Seniors 60+: $7 Children 3–14: $6; 2 and under free; Wednesdays after 2 free; Free parking 10:00 a.m.–4:45 p.m.
718-399-7339 Adults 13+: $9.95; Children 3–12: $6.95; Seniors 65+: $7.95; 2 and under free 10:00 a.m.–5:00 p.m.; Sundays until 5:30 p.m.
1 HOUR 9 MINUTES 973-875-5800 Adults 13-64: $19.50; Children 3–12: $16; Seniors 65+: $18; Under 3 free 9:00 a.m.–5:00 p.m.
Beautiful, serene lake in Bear Mountains with summer boat rentals. Opens May 16; 9:30 a.m.–8:00 p.m. Luxury boat rental for relaxing cruise on beautiful Greenwood Lake. Opens May 27. 10:00 a.m.–6:00 p.m.
There’s sometimes a $10 parking fee for non-residents. Boat rentals are between $15 and $26 per hour, and some are available for the day for $60. $25 per canoe/kayak; $15 per additional canoe passenger Sundays, June to August: 10:00 a.m.– 6:00 p.m.
23 MINUTES 1-800-53FERRY Adults: $4.25 per way; Children (under 11) and seniors: $2 per way; Under 5 free Ferry departs at 15-minute intervals from about 5:00 p.m. until about 10:00 p.m..
212-563-3200 Starts at: Adults, $31; Children 3–12, $26 10:00 a.m.– 6:00 p.m.
58 MINUTES 800-533-3779 Adults: $7 to $9; Children 6–11: $5 to $6; Children 5 and under: two children ride free for every paying adult Ferry departs at 15- to 30-minute intervals from about 6:00 a.m. until about 9:00 p.m.
A recreational island off Manhattan where no motors are allowed. It can be reached by ferry and offers bicycle rentals of all kinds, a museum, and fun outdoor activitites. 845-359-0073 $20–30 for first hour, $12 for second hour, and $6 for each additional hour Open Sundays May to October from 9:00 a.m.–5:00 p.m. Call for appointments during the week. Kayaks, canoes and rowboats available for a nature-rich journey on a charming creek in Piermont Marsh. Different types of economy pontoon boats for rent for by the hour, half-day or day. Pontoons hold different capacities, up to 10 people. Sundays, June to August: 7:00 a.m.–5:00 p.m.
Kayaks and canoe rental for a full day or half day. Not open on Chol Hamoed. Beautiful park that features boating and boat rentals. 30 MINUTES 862-200-0785 Contact for rates and reservations Monday to Wednesday: 10:00 a.m.–8:00 p.m.
47 MINUTES 718-378-2356 Free. Parking: $5–7 Monday to Friday: 1:00 a.m.–7:00 a.m.
46 MINUTES 212-832-4559 $2.50 (Metro Card only); Up to three children 44 inches tall and under ride for free on the tram when accompanied by a fare-paying adult. 6:00 a.m.–2:00 a.m. This airport is less busy and way less overwhelming than the international airports. There’s an observation deck on the third floor where airplanes can be watched taking off and landing. On the far left, at the end of the field all the way in the back, there’s an excellent spot to watch the airplanes take off and land. There’s also access to the departure hall, where you can see the screens and conveyor belts. AirTrain is free in the airport; best spot of watching is from the parking lot of Ikea at 1000 Ikea Drive in Elizabeth, NJ. AirTrain is free and gives children a fascinating bird’s-eye view of this bustling airport. Parking lots 2 and 5 offer nice views of airplanes taking off and landing. Aerial forest adventure with five ropes courses and dual zip racers. Also kids section. Ziplines closed at time of print due to storm damage. $20 a person Closed Chol Hamoed. Summer hours: Monday, Tuesday, Thursday, Friday: 4:00–9:00 p.m.; Sunday: 10:00 a.m.–6:00 p.m.; Wednesday: 1:00–6:00 p.m.
Kaaterskill Falls Parking: Route 23A in Haines Falls, NY 12436 (about a mile west from Wingate Road). GPS coor1 HOUR 31 MINUTES dinates: 42.18983, -74.07401. Trailhead is a bit down the road. 1 HOUR 42 MINUTES 518-678-5665 Zoo: Adults 13+: $17; Children 4–12: $13; Children 3 and under: free. Pony rides: $8. Horse-pony rides: $12; Trail rides also available 10:00 a.m.–6:00 p.m.
Chol Hamoed hours: 10:00 a.m.–3:00 p.m. Summer hours: 9:00 a.m.–6:00 p.m.
2 HOURS 856-966-1652 Adults: $21.95; Children and seniors: $17.00; Under 4 free 9:30 a.m.–3:00 p.m. May to September until 4:00 p.m.
800-537-7676 Free ($1.50 to reserve Independence Hall tickets in advance) 9:00 a.m.–5:00 p.m.
2 HOURS 5 MINUTES 215-448-1200 Adults 12+: $23; Children 3–11: $19; Under 2 free Chol Hamoed: 9:30 a.m.–8:00 p.m. Summer: 9:30 a.m.–5:00 p.m.
2 HOURS 2 MINUTES 856-365-3300 Adults 12+: $31.99; Children 2 –11: $23.99; Under 2, free (savings online) Chol Hamoed: 9:30 a.m.–7:00 p.m. Summer: 9:30 a.m.–5:00 p.m.
2 HOURS 8 MINUTES 215-243-1100 General admission: Adults: $24; Children 2–11: $19; Under 2 free. Pre-paid parking: $16 per vehicle. Family packages available; membership is usually worthwhile. 2 HOURS 18 MINUTES 267-698-5624 Between $10 and $35 per hour 10:00 a.m. to sunset. ; closes at 10:00 p.m. during summer; Last bike is rented 1 hour before closing, and last boat 2 hours before closing. Before heading out, please call to confirm attraction hours and other details. 2 HOURS 45 MINUTES 518-668-ROAR $19.99 per person (under 2 free); If you enter after 3:00 p.m., the ticket includes the next day. Opens late May. 10:00 a.m.–6:00 p.m.
2 HOURS 45 MINUTES 518-668-2159 $5 a ride; quarters for arcades Opens late May. 11:00 a.m. –11:00 p.m.
Pontoon for 5, 10 or 12 passengers to take out on gorgeous Lake George, available for 1, 2, 3, 4 and 6 hours. 2 HOURS 45 MINUTES 518-681-9440 $79 per person ($20 discount for 8:00 and 8:30 a.m. boats) Opens early May. 8:00 a.m.–6:00 p.m. Soar 300 feet into the air over Lake George. One-hour boat ride for the group, and each person is in the air for 8 to 10 minutes. Prospect Mountain Address for driving: Prospect Mountain Highway (off Route 9N/Canada Street, right across Lake George Chamber of Commerce); follow highway until the summit. Address for hiking: 75 Smith Street, Lake George, NY 12845 3 HOURS 518-668-5198 $10 per car; Hiking is free Opens late May 10:00 a.m.– 5:00 p.m.
Major theme park with seven coasters and exciting selection of thrill, kids and family rides. Please note that one section of the park has water rides. Starts at $45 for the 4-course 2-hour adventure. Each next level is $5 more and an hour longer. Children’s course is $30 for ages 6 and up and there’s a free playground. *There is a package available for Tubby Tubing and this attraction for $60. 3 HOURS 10 MINUTES 518-494-3410 Varies by boat type Opens late May 8:00 a.m.– 5:00 p.m.; Sundays from 9:00 a.m.
Easy hike to 50-foot cascade. Park in Parking Lot 1. From there walk down the slope toward the bridge and follow the trail on the right, where there is a stream. From there it’s a ten-minute hike to get to the top of the falls for splendid views of the falls and creek bed. Walking further on the trail and turning right will lead you to views of the bottom of the falls. 3 HOURS 20 MINUTES 518-251-2411 Summer hours and rates not yet announced at time of print. A half-hour gondola ride on Gore Mountain, with stunning views of the high peaks of the Southern Adirondacks. Hiking and picnicking on the mountain as well. These hotels were selected for their cleanliness, beauty and proximity to minyan. Many more lodging options of different price points are available, with quite a few along Route 9/Canada Street. Please inquire about location of pool and book accordingly. BEST WESTERN OF LAKE GEORGE 2452 Route 9N, Lake George, NY 12845 518-668-5701 Simple well-kept hotel very close to minyan and the central Lake George attractions HOLIDAY INN RESORT LAKE GEORGE 2223 Canada Street, Route 9, Lake George, NY 12845 518-668-5781 Geared for children with splash park and playground COURTYARD BY MARRIOTT LAKE GEORGE 365 Canada Street, Lake George, NY 12845 518-761-1150 Hotel across the lake that is walking distance to some attractions KATHY’S RESORT AND COTTAGES 2354 Route 9N, Lake George, NY 12845 Rentals of chalets, suites, townhomes and studios, each with kitchen facilities. (Housekeeping is not done during your stay, and minimum stay in season is one week.) If you want to stay in Saratoga Springs over Shabbos, please email for information about accommodations, food and catering: saratogachabad@gmail.com. MINYAN Summer weekday minyanim are organized by Rabbi Rubin of Chabad of Saratoga Springs. The details were not yet announced at time of print. For Shabbos, there’s minyan available in Saratoga Springs. May to October: 8:00 a.m.–5:00 p.m.
KOSHER FOOD Chabad offers a basic menu of prepared foods that are prepared fresh. Orders must be placed one week prior to pickup or delivery. Call the above number for more information. There’s a Stop and Shop and Price Chopper in the area that carry some kosher products. 2 HOURS 48 MINUTES 717-989-2829 Starting from Adults: $15; Children 12 and under: $7; Under 2 free Monday to Friday: 9:00 a.m.–6:00 p.m.
2 HOURS 47 MINUTES 866-FUNATDW (386-2839) Starts at $37.99 Summer hours: 10:00 a.m.–8:30 p.m. Open select days before and after summer. 2 HOURS 49 MINUTES 800-450-2920 Adults 12+: $8.50; Children 3–11: $5.00 10:00 a.m.–5:00 p.m.
Sunday: 12:00–3:30 p.m.; Monday to Friday: 9:30 a.m.–4:30 p.m.
2 HOURS 51 MINUTES 717-687-8511 Tour: Adults, $10; Children under 12, $6.50; Under 4 free 9:00 a.m.–5:00 p.m. Sunday from 10:00 a.m. LODGING The first three hotels are in the vicinity of the mansions and harbor—the most popular, though costly, lodging choices. THE HOTEL VIKING 1 Bellevue Avenue, Newport, RI 02840 401-847-3300 Mansion-style luxury hotel with suites designed after Newport mansions. 401-849-8000 10 minutes from center of Middletown. Very pleasant and fairly priced familyoriented hotel. GURNEY’S NEWPORT RESORT AND MARINA 1 Goat Island, Newport, RI 02840 401-849-2600 Beautiful hotel on Goat Island at the ocean. Suspension bridge connects to the main area of Newport. Lost River Gorge and Boulder Caves 1712 Lost River Road, Route 112W, North Woodstock, New Hampshire 03262 13 MINUTES FROM LINCOLN, 31 MINUTES FROM BETHLEHEM 603-745-8031 Adults 12+: $21; Children 4–12: $17; Children under 3: free Opens May 10. July and August: 9:00 a.m.–6:00 p.m.; May, June, September and October: open until 5:00 p.m.
A must-visit boardwalk adventure through the gorge. Summer: On-mountain attractions open daily, 10:00 a.m.–6:00 p.m. Horseback and pony rides, 9:00 a.m.–4:00 p.m. Last ride out at 4:00. Road leading to highest peak in Northeast with breathtaking views. May: 9:00 a.m.–4:00 p.m. May 25 to June 14: 8:00 a.m.–5:00 p.m. June 16 to August 25: 8:00 a.m.–6:00 p.m. August 26 to October 6: 8:00 a.m.–5:00 p.m. Until late October: 8:00 a.m.–4:00 p.m.
20 MINUTES FROM BETHLEHEM 603-745-8391 Adults: $16; Children 6-11: $13; Under 5 free May 5 to October 21: 8:30 a.m.–5:00 p.m. Until 5:30 p.m. in the summer. 25 MINUTES FROM BETHLEHEM 603-745-8111 Pay per ride or purchase pass Summer: 10:00 a.m.–6:00 p.m.; Spring and fall: 10:00 a.m.–5:00 p.m.
23 MINUTES FROM BETHLEHEM 603-745-8913 Ages 4-64: $24; Seniors: $21; Children under 3: free; After 2:00 p.m.: $18 admission Summer hours: 9:30 a.m.–5:00 or 5:30 p.m. Spring/ fall: 10:00 a.m.–4:30 p.m.
Cannon Mountain Aerial Tramway 260 Tramway Drive, Franconia, NH 03580 RIGHT NEAR LINCOLN, 15 MINUTES FROM BETHLEHEM 603-823-8800 Round trip: Adults 13+: $18; Children 6–12: $16; Children 5 and under: free with adult Summer hours: 8:30 a.m.–5:30 p.m.
29 MINUTES FROM LINCOLN, 20 MINUTES FROM BETHLEHEM Purchase pass:es or pay per ride. LODGING LINCOLN: DAYS INN LINCOLN Minyan on premises 557 US-3, Lincoln, NH 03251 | 603-745-8118 Separate indoor pool with hours for men and women in August. (You can arrange to purchase a pool key even if you’re not a guest.) WOODWARDS RESORT 1-minute walk to minyan 527 US-3, Lincoln, NH 03251 | woodwardsresort.com | 603745-8141 INDIAN HEAD RESORT 11-minute walk to minyan 664 US-3, Lincoln, NH 03251 | 800-343-8000 OMNI MOUNT WASHINGTON RESORT 310 Mount Washington Hotel Road, Bretton Woods, NH 03575 800-843-6664 Luxurious hotel with Renaissance-era architecture featuring elegant rooms and suites decorated in refined New England style, set upon a huge property with many amenities and attractions on site. LOON RESERVATION SERVICE 800-745-5666 Vacation rental broker that will arrange condominium, townhouse, resorts or private home rentals for your stay in the White Mountains/. BETHLEHEM ARLINGTON HOTEL Minyan on premises 30 Arlington Street, Bethlehem, NH 03574 | 603-869-7777 Brand-new luxurious hotel with kosher cuisine, minyan and a mikvah. HEARTHSIDE VILLAGE COTTAGE MOTEL 20-minute walk to minyan 1267 Main Street, Bethlehem, NH 03574 | 603-444-1000 Quaint cottages with fridges and options of kitchenettes and fireplaces. (The bathrooms have showers only.) The landscaped grounds have barbecue grills and picnic tables. The game room has a ping-pong table, and there’s an outdoor children’s play area. Parking space is available for each cottage. Outdoor pool has separate hours for men and women. Journey Behind the Falls 6650 Niagara Parkway, L2E 6T2 877-642-7275 Adults 14+: $14; Children 6–12: $9 (CAD) Opens 9:00; closes between 6:00 and 10:00 p.m.
Whirlpool Aero Car 3850 Niagara Parkway, L2E 3EB 877-642-7275 Adults 13+: $16; Children 12 and under: $10.25 (CAD) From May: 10:00 a.m.–5:00 p.m.; Summer: 9:00 a.m.–8:00 p.m. Adults 13+: $14; Children 6–12: $9 (CAD) From May: 9:30 a.m.–5:00 p.m.; Summer: 9:00 a.m.–9:00 p.m.
2565 Niagara Parkway, LOS IJO 905-358-0025 Adults 13+: $16; Children 6–12: $10.25 (CAD) Opens at 10:00 a.m.; closes between 5:00 and 7:00 p.m.
99 acres of beautifully maintained gardens. Guided horse-and-carriage tours from May to October (10:00 a.m. – 5:00 p.m.) available daily for $20 per person. The intricate designs on the face of this clock are changed twice each year. Starting at: Adult: $18.99; Child (4–11): $11.99 10:00 a.m.–9:00 p.m.
Park that includes the American Falls, Bridal Veil Falls and a portion of the Horseshoe Falls. American-side attractions that are accessed from here: Cave of the Winds, Maid of the Mist, Niagara Adventure, the fireworks, the observation tower, and the point where the Niagara Scenic Trolley departs from. ‫בזרוע‬ ‫נטויה‬ Maple has free home delivery in all local neighborhoods. Our large fleet of cars ensures that you get your refills, prescriptions and OTC medication quickly in our days. Wishing you a kosher and healthy Pesach!